‘Sub-Saharan African art has had a major influence on European art for the last 100 years.’ This has been a claim made by art historians for most of my professional career. Previously I haven’t really thought about it much. Their claim is quite interesting but not much more. Until now! I set myself the subject ‘African Art Influence’ for this blog. So I’ve been thinking and reading about it a bit more. Wow! It is interesting to realise that some of the oldest known art pieces in the world are from Namibia. They are rock paintings estimated to be over 20,000 years old. Previously we Westerners had long misunderstood and dismissed African art as “primitive.” The term primitive carries with it negative connotations of underdevelopment and poverty. Colonization and the slave trade in Africa during the nineteenth century set up a Western understanding hinged on the belief that African art lacked technical ability due to its low socioeconomic status. Nowadays the range of artistic style is enormous. African art is just one of the non-traditional Western art languages that influence artists and art lovers. Eastern art-forms from as Japan, India, and China can be seen everyday. But it took the early 20th century artists to kick-start the trend and make such a crucial difference. Following the anti-establishment surge of French Impressionism, African art came to European notice just over 100 years ago when artists began to recognize the aesthetic value of African sculpture. Artists such as Vlaminck, Gauguin, Derain, Picasso, Van Gogh, and Modigliani were all influenced by African art forms. The study of and response to African Art by these artists at the beginning of the twentieth century facilitated an explosion of interest in the exploration of emotional and psychological areas hitherto unseen in Western art. The emergence of ‘abstract’ and other ‘non-subjective’ art can be understood as a result after African pattern designs became known. The acceptance and appreciation of ‘primitive’, ‘childlike’, or ‘naïve’ art language can also be seen as another direct result. 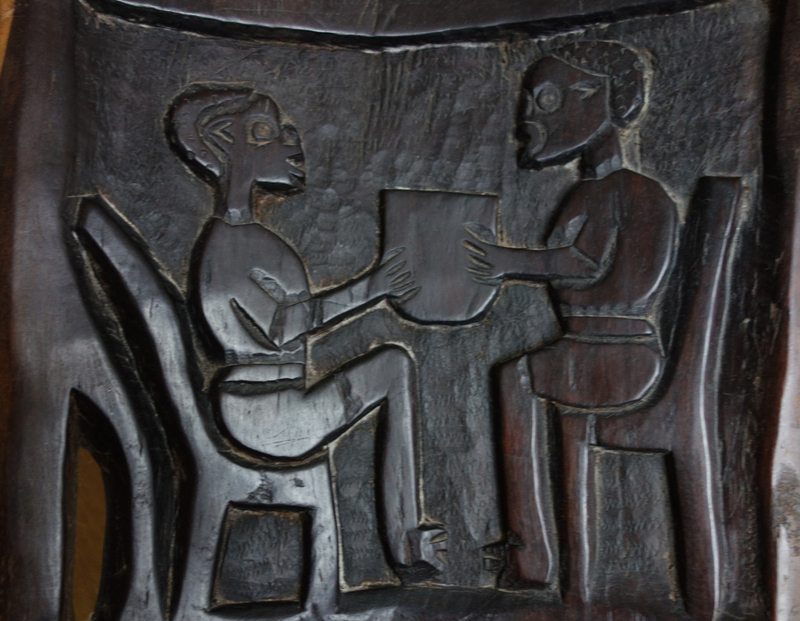 In the latter part of the 20th century African art came to be appreciated for its intrinsic aesthetic value as well as continuing to be a source of inspiration for the work of Western artists. Interest in the arts of Africa has flourished since then, and many modern Western artists have rediscovered the enduring qualities of African art. At the beginning of the 20th century Western artists noticed African Art instead of dismissing it. African Art hadn’t changed, and African Art didn’t do anything specific or new that drew the attention of Western artists. Instead it was Western art pioneers who had just been liberated from a long history of representational art thanks to French Impressionism. Once free from the rigid social confines of accurate subjectivity these artists looked around and saw that art can be so much more. Nowadays it seems that we are much more willing to allow just about anything, and any art language, and any art style, into our art world. It seems obvious now, but it had always been there, just under their noses. I wonder what we are not noticing ourselves. The Importance of Power and Politics in Art.